In my posting queue from long ago, a note about a bon appétit magazine piece on picadillo; the function of the note was mostly to remind me of the version of picadillo that Ann Daingerfield (Zwicky) and I used to make in Columbus OH: a kind of do-it-yourself Mexican meal. The picadillo mixture keeping warm in a big bowl; a platter of browned tortillas to make into tacos and fill with the picadillo; and a large assortment of small bowls with things to add to the tacos. Picadillo (… “mince”) is a traditional dish in Spain and many Latin American countries and the Philippines (where it is known as giniling, and also Arroz a la Cubana) that is similar to hash. It is made with ground beef, tomatoes (tomato sauce may be used as a substitute), and other ingredients that vary by region. 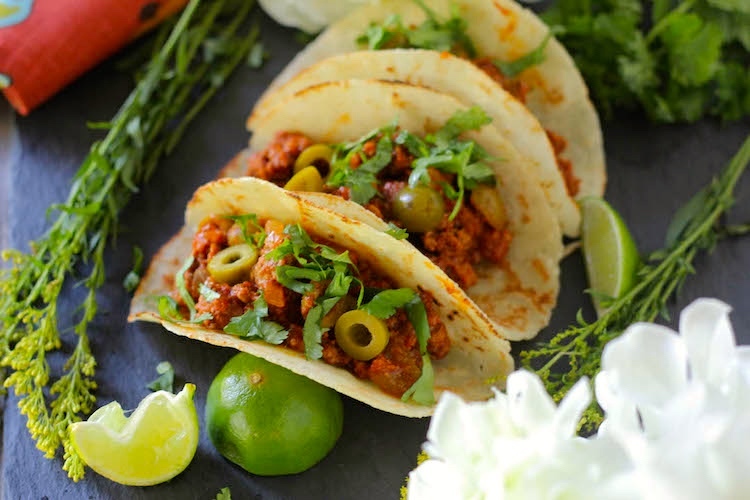 It is often served with rice or used as a filling in dishes such as tacos, savoury pastries or croquettes. The name comes from the Spanish word picar, which means “to mince” or “to chop”. and cooked until it’s a fairly dry stuffing for the tacos. 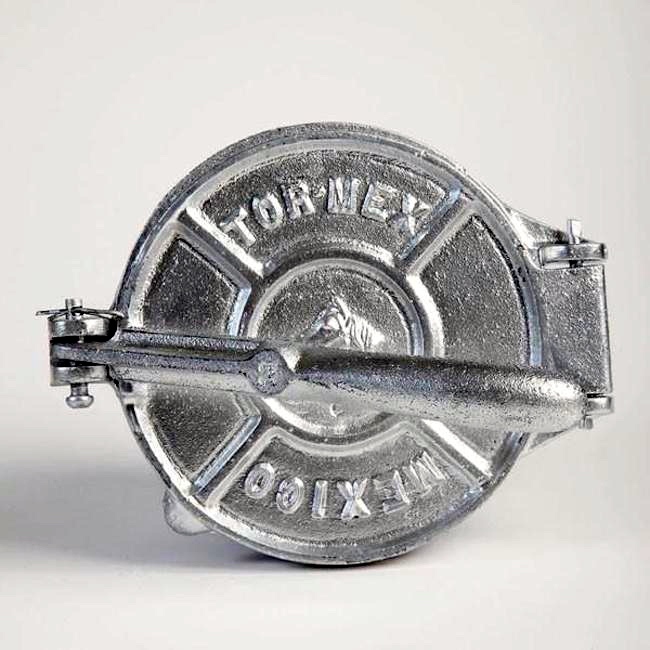 A flour made from specially treated ground corn, masa harina is the foundation for tortillas, tamales, sopes, and many other corn-based Mexican treats. To make masa harina, corn kernels are dried, then rehydrated and treated with lime (calcium oxide), which makes it possible to remove the skins. [The result is hominy.] Once the skins are rubbed off, the kernels are thoroughly washed and ground into soft, pliable masa (dough). The fresh masa is then dried and powdered, becoming masa harina (harina means flour). 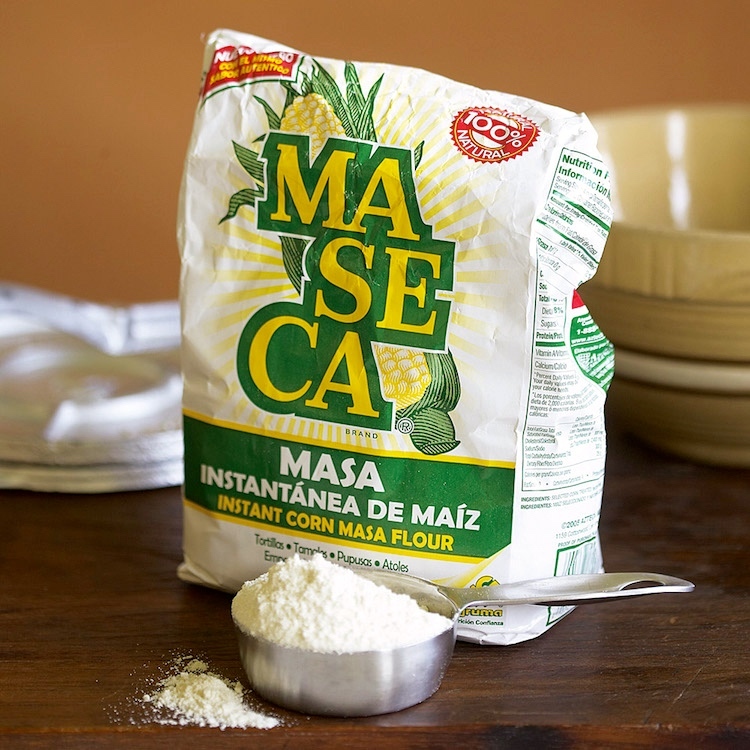 Though fresh masa is generally preferable to masa harina, it’s very perishable and therefore difficult to find outside of Mexico and its U.S. border states. Masa harina, on the other hand, has a shelf life closer to that of regular wheat flour. 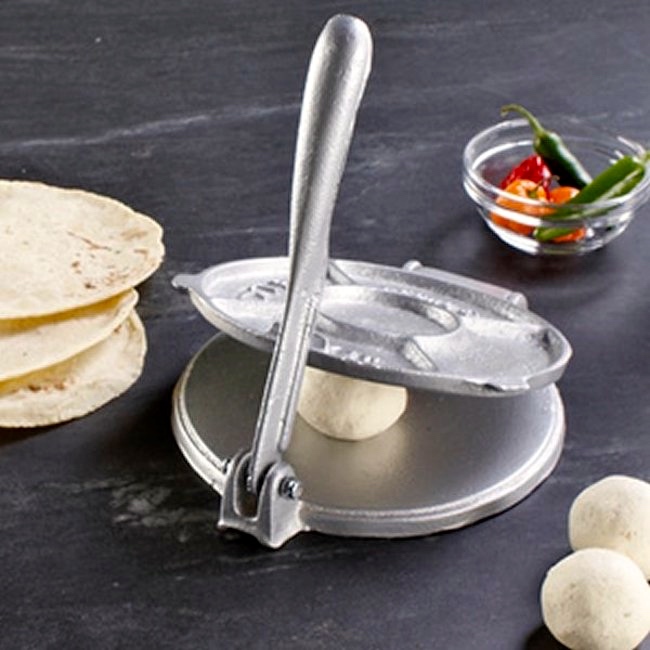 It’s a pantry staple even in areas where fresh masa is available. To use it, you simply add water. There are aluminum versions, and even plastic ones. Then lightly brown the tortillas on both sides in a hot skillet, and keep them warm on a platter for people to use as taco shells. (Note olives and cilantro in #1.) Mix and match to your taste. My man Jacques hated cilantro, so he never picked that. I always went heavy on cheese, cilantro, and olives. Other versions of picadillo are stews, with beef broth, green peas, diced potatoes, and maybe carrots — and served on rice or as a thick soup. And some people make picadillo from chicken or pork, or a mixture of ground meats. This entry was posted on March 26, 2018 at 11:08 am and is filed under Language and food, My life, Names. You can follow any responses to this entry through the RSS 2.0 feed. You can leave a response, or trackback from your own site. If one eats too much of it, could one be considered to have committed a picadillo peccadillo?